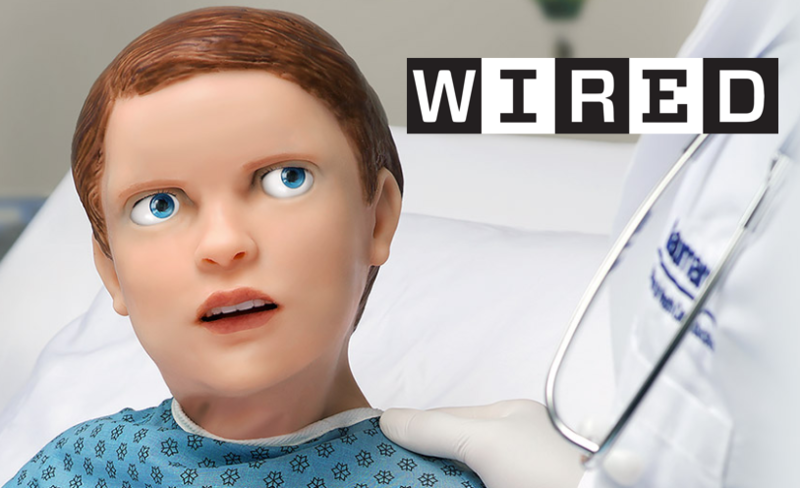 Just this past month, WIRED science writer Matt Simon visited Stanford to take a closer look at a pediatric simulator causing strong emotional responses from learners – Gaumard‘s Pediatric HAL s2225. Why? Because in addition to illustrating nearly a dozen facial expressions, HAL also simulates a variety of common emotional states to better approximate behavior. When HAL’s emotional state is set to lethargic, for example, the eyelids will droop automatically, head movement will slow, and yawning will occur periodically. The powerful UNI software even lets you create your own facial expressions and emotions to expand the scope of the learning experiences. 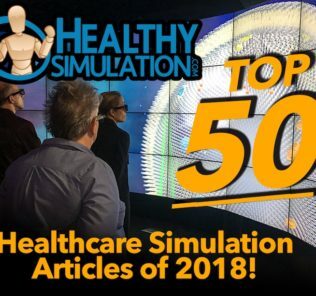 WIRED is a leading magazine for all things innovation and so this is simulator highlight is important for the clinical simulation industry. Matt Simon writes “Inside Hal, a combo mechanical-pneumatic system makes him breathe, and a cartridge in his leg allows him to exhale CO2. Hydraulic systems provide fake blood and tears. Servo motors tug on his face, helping him to look angry or scared, among other emotions. He even speaks, with a repertoire that includes shouting for his mother and telling you not touch him. If you like, you can even speak through the robot, with a system that turns your voice into that of a 5-year-old. One of the reasons for building Hal was to train medical workers on how to approach children, who may not be forthcoming about their symptoms. “They can often do that by facial expression,” says James Archetto, Gaumard’s vice president. To get the expressions right, the company’s engineers worked with pediatricians to fine-tune how an angry or happy child’s face really moves—muscles contracting here, brows furrowing there. 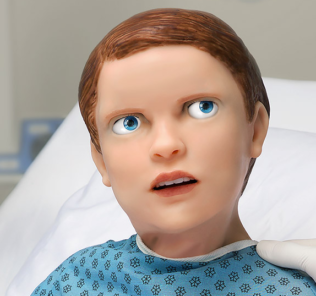 To avoid a faceplant into the uncanny valley, Hal’s designers decided not to give him blemishes or freckles—he has to convince trainees he’s real enough to be an effective tool, but not so real that he becomes a distraction. Has your simulation ever been so real it made learners show real emotion? Write us a comment below to share your story. The Gaumard Scientific Company has designed, manufactured and marketed simulators for health care education for more than 60 years. Users worldwide – the military, emergency medical services, major teaching hospitals and nursing schools – recognize Gaumard products for their innovation in simulation in the pre-hospital, obstetrics and gynecology, surgical and nursing care segments. Read Matt Simon’s full Simulator article on WIRED!